Lake Louise has been described as the 'Jewel in the Rockies' for a number of reasons. With a superb all-natural snow record and a location in the heart of the Banff National Park (a World Heritage Site), this is skiing on a grand and glorious scale. What really defines Lake Louise (and North American skiing in general) is the incredible customer service and the amazing user-friendliness of the skiing. The high-tech and fantastically staffed lift system whisks skiers of every ability to various points on the mountain. The real bonus is that all skiers are guaranteed a run on which to descend at their own pace. Beginners will love the resort, with lots of gentle skiing and even loaders to help you on to the lifts. 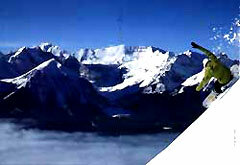 Intermediates will enjoy miles of well-groomed pistes. Lake Louise boasts that it has a difficult run for every easy one – advanced skiers can tackle the array of blacks and the great powder in the Purple Bowl. Queues are non-existent and the childcare is exemplary. Lake Louise itself is pretty small, but it does have a good selection of accommodation and restaurants – most are good value-for-money. If your budget is bigger, you can always stay at the world-famous Chateau Lake Louise, which is also a lovely spot to drop in for lunch during your ski day. Après-ski is distinctly North American, with line-dancing and Country music dominating the bar life. Alternatively, you can choose to stay 60km away in Banff itself. Banff, a significantly larger town is for many a better choice as a base resort, offering you closer access to Sunshine Village and Mount Norquay/Mystic Ridge ski areas and a wider choice of lodging and dining options. A tri-area ski pass covers your skiing in Lake Louise, Sunshine Village and Mount Norquay. This pass also includes free access to the regular and efficient shuttle bus service linking these ski areas with the lodging in Lake Louise and Banff. If you visit, you will quickly understand why, along with Whistler, most Europeans head for Lake Louise. It has great skiing, is incredibly user-friendly, the snow is excellent and it's all very reasonably priced. 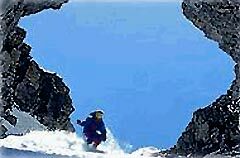 A small resort with stunning scenery and the largest ski area in the Banff region.